Dolphin Intelligence continues to amaze. Here are some more amazing facts about these creatures. 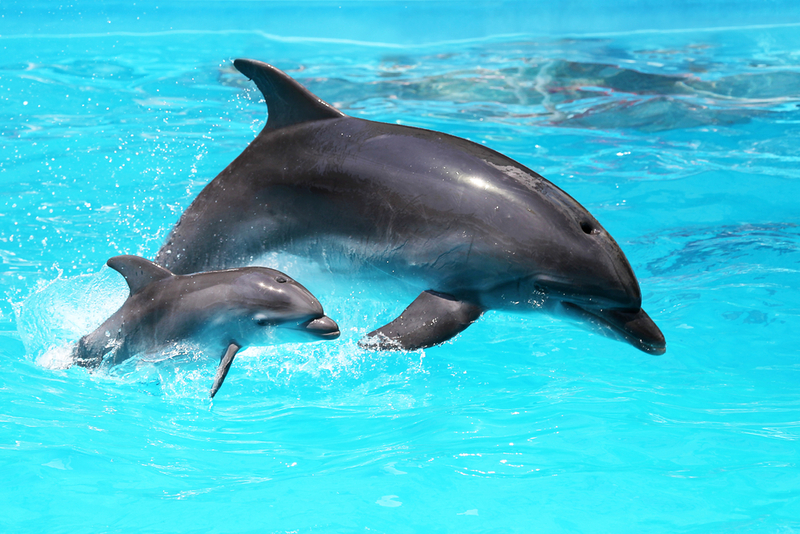 Mother Dolphins Commonly Pass Vital Life Skills Down To Their Calves. Since the 1960s, and especially after the American television show “Flipper” and many live performances featuring dolphins, humans have come to realize that dolphins are intelligent creatures. But just how intelligent are these sea mammals? Well, studies now tell us that the brain of a dolphin can be compared to the human brain. And, it may even equal it, according to a study conducted by Laurie Marino of Emory University of Atlanta. This entry was posted in Dolphin Information and tagged common bottlenose dolphin, dolphin intelligence, human and dolphin intelligence, killer whale, orca on September 3, 2017 by Roselyn Onuche.